During induction of general anesthesia hypertension and tachycardia caused by tracheal intubation may lead to cardiac ischemia and arrhythmias. In this prospective, randomized study, dexmedetomidine has been used to attenuate the hemodynamic response to endotracheal intubation with low dose fentanyl and etomidate in patients undergoing myocardial revascularization receiving beta blocker treatment. Thirty patients undergoing myocardial revascularization received in a double blind manner, either a saline placebo or a dexmedetomidine infusion (1 µg/kg) before the anesthesia induction. 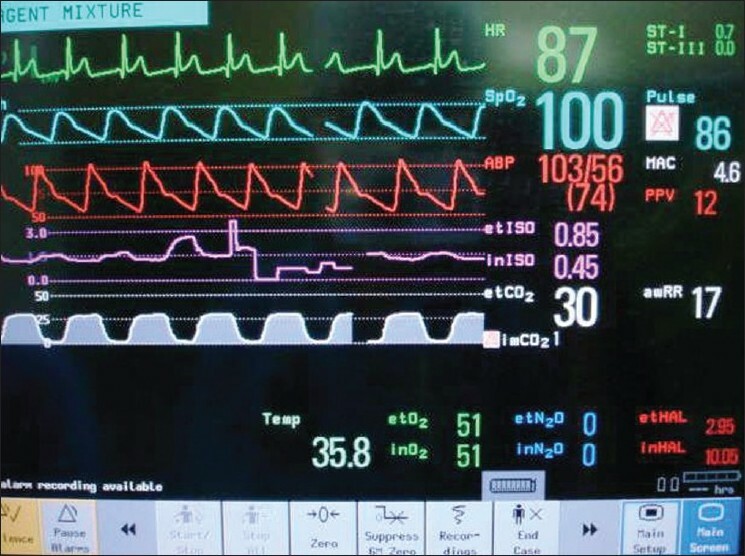 Heart rate (HR) and blood pressure (BP) were monitored at baseline, after placebo or dexmedetomidine infusion, after induction of general anesthesia, one, three and five minutes after endotracheal intubation. In the dexmedetomidine (DEX) group systolic (SAP), diastolic (DAP) and mean arterial pressures (MAP) were lower at all times in comparison to baseline values; in the placebo (PLA) group SAP, DAP and MAP decreased after the induction of general anesthesia and five minutes after the intubation compared to baseline values. This decrease was not significantly different between the groups. After the induction of general anesthesia, the drop in HR was higher in DEX group compared to PLA group. 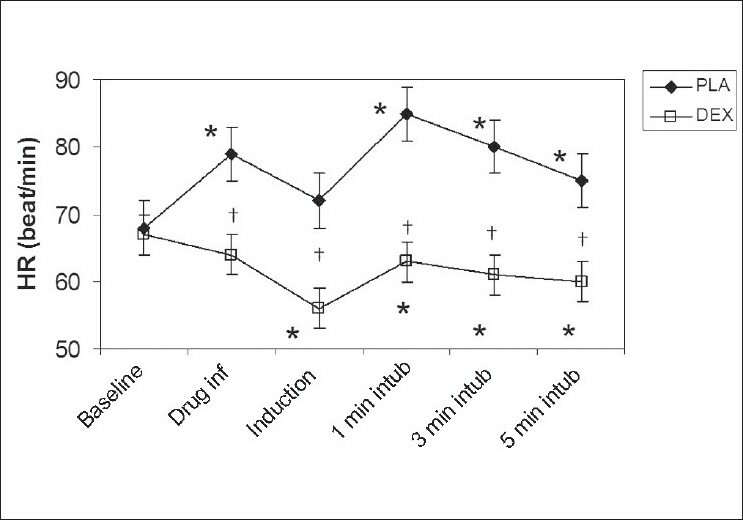 One minute after endotracheal intubation, HR significantly increased in PLA group while, it decreased in the DEX group. The incidence of tachycardia, hypotension and bradycardia was not different between the groups. The incidence of hypertension requiring treatment was significantly greater in the PLA group. It is concluded that dexmedetomidine can safely be used to attenuate the hemodynamic response to endotracheal intubation in patients undergoing myocardial revascularization receiving beta blockers. Pulmonary artery thromboendarterectomy (PTE) has been regarded as a promising, potentially curative surgical procedure. 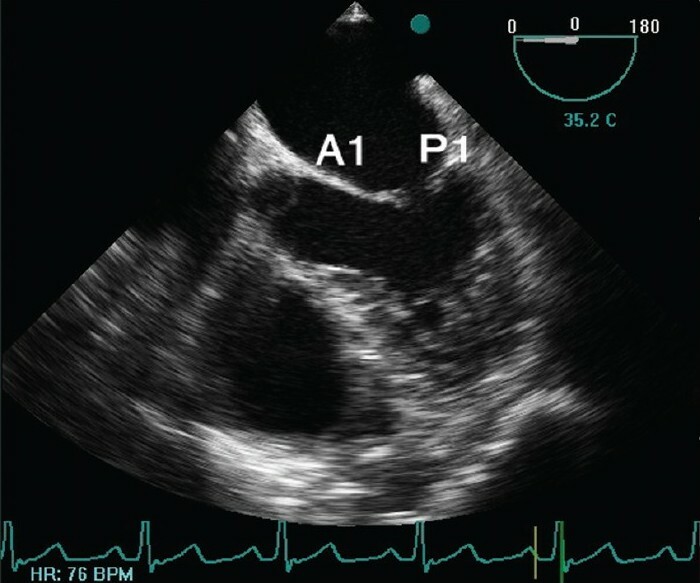 However, PTE is associated with specific postoperative complications, such as reperfusion pulmonary edema and right heart failure leading to a considerable mortality of 7-24%. Despite its limitations PTE is a better surgical alternative to lung transplantation which carries high morbidity and mortality. The aim of the study is to analyze the efficacy, safety, morbidity and survival associated in the postoperative period and quality of life after six months of PTE in Indian patients. Forty-one patients with surgically correctable chronic thromboembolic pulmonary hypertension underwent pulmonary endarterectomy. All patients were in New York Heart Association (NYHA) Class II, III or IV. Preoperative mean pulmonary artery pressure was 40.98 ± 9.29 mmHg and mean pulmonary vascular resistance was 418.39 ± 95.88 dynes/sec/cm -5 . All patients were followed up to six months and a telephonic survey was conducted using a standard questionnaire. They were assessed and classified as per NYHA grading. There was a significant reduction in the mean pulmonary artery pressure (from 40.98 ± 9.29 mmHg to 24.13 ± 7.36 mmHg, P < 0.001) and pulmonary vascular resistance (from 418.39 ± 95.88 dynes/sec/cm -5 to 142.45 ± 36.27 dynes/sec/cm -5 , P < 0.001) with a concomitant increase in the cardiac index (from 1.99 ± 0.20 L/min/m 2 to 3.28 ± 0.56 L/min/m 2 , P < 0.001) during the postoperative period. The mortality rate in our study was 12.19% (five patients). Ninety per cent of the patients reported a significant improvement in the quality of life and exercise tolerance after surgery compared to the preoperative state. Pulmonary endarterectomy is an effective and potentially curative surgical treatment for patients with severe chronic thromboembolic pulmonary hypertension. The current techniques of operation make the procedure relatively safe and long-term survival, NYHA functional status and exercise capacity improve significantly. Perioperative Thoracic epidural analgesia (TEA) is an important part of a multimodal approach to improve analgesia and patient outcome after cardiac and thoracic surgery. This is particularly important for obese patients undergoing off pump coronary artery bypass surgery (OPCAB). We conducted a randomized clinical trial at tertiary care cardiac institute to compare the effect of TEA and conventional opioid based analgesia on perioperative lung functions and pain scores in obese patients undergoing OPCAB. Sixty obese patients with body mass index >30 kg/m 2 for elective OPCAB were randomized into two groups (n=30 each). Patients in both the groups received general anesthesia but in group 1, TEA was also administered. We performed spirometry as preoperative assessment and at six hours, 24 hours, second, third, fourth and fifth day after extubation, along with arterial blood gases analysis. Visual analogue scale at rest and on coughing was recorded to assess the degree of analgesia. The other parameters observed were: time to endotracheal extubation, oxygen withdrawal time and intensive care unit length of stay. On statistical analysis there was a significant difference in Vital Capacity at six hours, 24 hours, second and third day postextubation. Forced vital capacity and forced expiratory volume in one second followed the same pattern for first four postoperative days and peak expiratory flow rate remained statistically high till second postoperative day. ABG values and PaO 2 /FiO 2 ratio were statistically higher in the study group up to five days. Visual analogue scale at rest and on coughing was significantly lower till fourth and third postoperative day respectively. Tracheal extubation time, oxygen withdrawal time and ICU stay were significantly less in group 1. The use of TEA resulted in better analgesia, early tracheal extubation and shorter ICU stay and should be considered for obese patients undergoing OPCAB. The objective of this study was to evaluate the effectiveness of acute normovolemic hemodilution (ANH) as a sole method of reducing allogenic blood requirement in patients undergoing primary elective valve surgery. One hundred eighty eight patients undergoing primary elective valve surgery were prospectively randomized into two groups: Group I (n=100) acted as control and in Group II (n=88) autologous blood was removed (10% of estimated blood volume in patients with hemoglobin (Hb) > 12g% and 7% when the Hb was < 12g%) in the pre-cardiopulmonary bypass (CPB) period for subsequent re-transfusion after protamine administration. The autologous blood withdrawn was replaced simultaneously with an equal volume of hydroxyl-ethyl starch solution. Banked blood was transfused in both the groups when Hb was ≤6g % on CPB and ≤8g% after CPB. Platelets were transfused when the count fell to < 100´10 9 /L and fresh frozen plasma (FFP) was transfused whenever there was diffuse bleeding with laboratory evidence of coagulopathy. The two groups were comparable as regards demographic data, type of surgical procedures performed, duration of CPB and ischemia, duration of elective ventilation and re-exploration for excessive bleeding. The autologous blood withdrawn in patients with Hb≥12g% was 288.3±69.4 mL and 244.4±41.3 mL with Hb < 12g% (P=NS). The Hb concentration (g %) was comparable pre-operatively (Group I= 12.1±1.6, Group II= 12.4±1.4), on postoperative day 1 (Group I =10.3±1.1, Group II= 10.6±1.2) and day 7 (Group I = 10.9±1.5, Group II=10.4±1.5). However, the lowest Hb recorded on CPB was significantly lower in Group II (Group I =7.7±1.2, Group II=6.7±0.9, P < 0.05). There was no difference in the chest tube drainage (Group I =747.2±276.5 mL, Group II=527.6±399.5 mL), blood transfusion (Group I=1.1±1.0 units vs. Group II=1.3±1.0 units intra-operatively and Group I=1.7±1.2 units vs. Group II=1.7±1.4 units post-operatively) and FFP transfusion (Group I =581.4±263.4 mL, Group II=546.5±267.8 mL) in the two groups. We conclude that low volume autologous blood pre-donation does not seem to provide any added advantage as a sole method of reducing allogenic blood requirement in primary elective valve surgery. Antiphospholipid antibody syndrome (APLAS) characterises a clinical condition of arterial and venous thrombosis associated with phospholipids directed antibodies. APLAS occurs in 2% of the general population. However, one study demonstrated that 7.1% of hospitalised patients were tested positive for at least one of the three anticardiolipin antibody idiotype. Antiphospholipid antibodies often inhibit phospholipids dependent coagulation in vitro and interfere with laboratory testing of hemostasis. Therefore, the management of anticoagulation during cardiopulmonary bypass can be quite challenging in these patients. Here, we present a case of right atrial mass removal and pulmonary thrombectomy in a patient of APLAS. Williams syndrome is a complex syndrome characterized by developmental abnormalities, craniofacial dysmorphic features, and cardiac anomalies. Sudden death has been described as a very common complication associated with anesthesia, surgery, and procedures in this population. Anatomical abnormalities associated with the heart pre-dispose these individuals to sudden death. In addition to a sudden and rapid downhill course, lack of response to resuscitation is another significant feature seen in these patients. The authors report a five-year-old male with Williams syndrome, hypothyroidism, and attention deficit hyperactivity disorder. 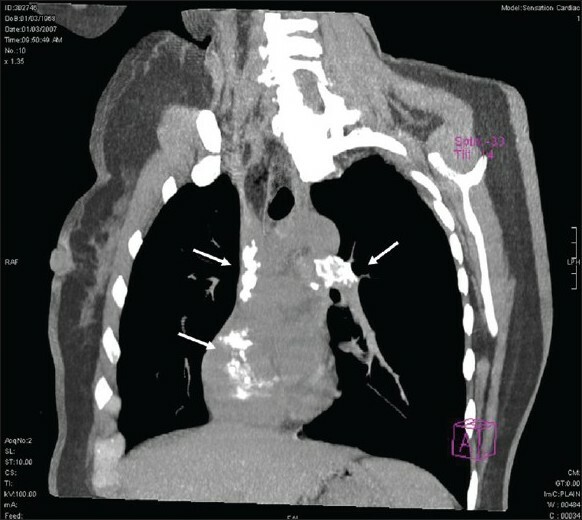 He suffered an anaphylactic reaction during CT imaging with contrast. Resuscitation was unsuccessful. 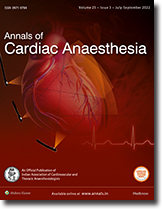 Previous reports regarding the anesthetic management of patients with Williams are reviewed and the potential for sudden death or peri-procedure related cardiac arrest discussed in this report. The authors also review reasons for refractoriness to defined resuscitation guidelines in this patient population. 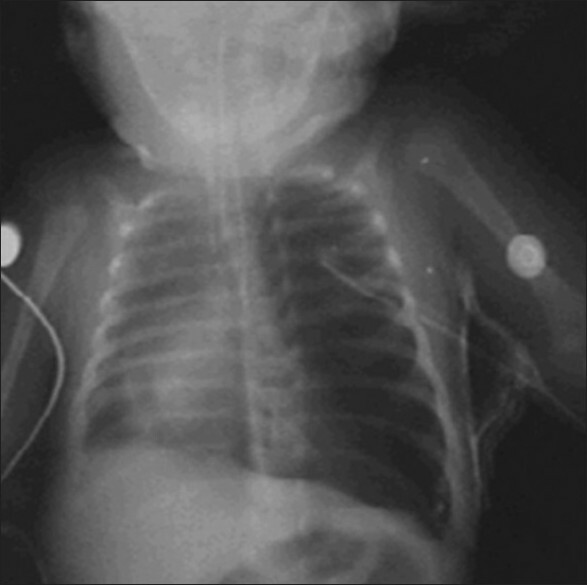 Congenital lobar emphysema is a rare entity presenting in the first month of life. 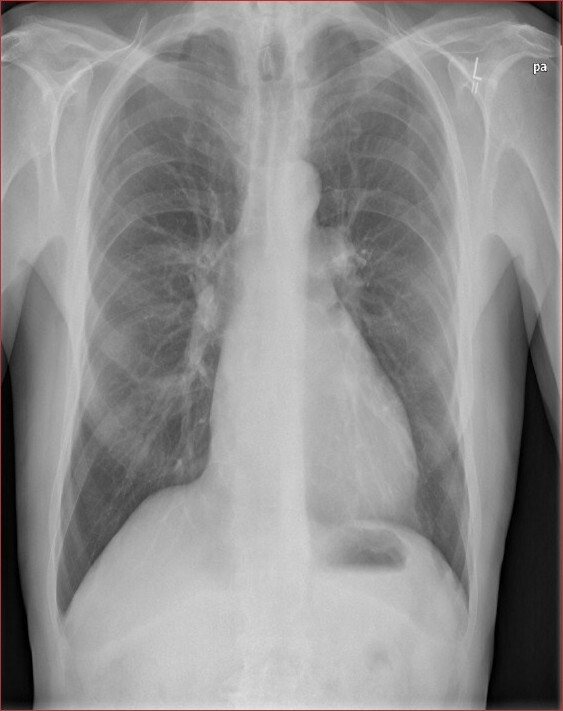 It appears with varying degrees of respiratory distress, clinical and radiological evidence of over-aeration of the upper and middle lobes, mediastinal shift and hypoxia. Its early recognition and surgical intervention can be life-saving. 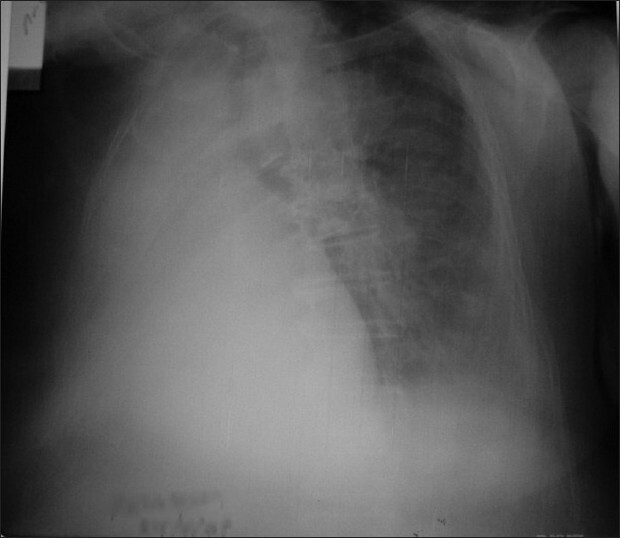 Even today, despite advanced diagnostic techniques, pitfalls in diagnosis and management are not uncommon and the condition may be mistaken for pneumothorax or pneumonia. This report elucidates the anesthetic management of three such cases with a review of literature. Superior type of sinus venosus atrial septal defect (SVASD) is invariably associated with the unroofing of right upper pulmonary vein (RUPV). Warden procedure and pericardial patch repair with rerouting of the RUPV are commonly performed operations for the superior SVASD. Both operations involve the risk of obstruction to the flow of superior vena cava or rerouted pulmonary vein in the postoperative period. 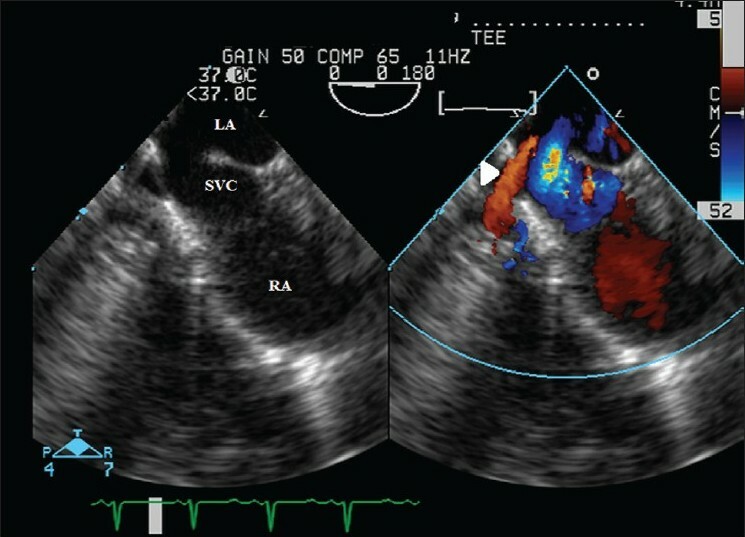 The sinus venosus defects are well visualized on the transesophageal echocardiography (TEE) because of the proximity of the TEE probe to these structures. We are reporting two cases operated for the superior SVASD with unroofed RUPV, highlighting the intraoperative echocardiographic features before and after the surgery. 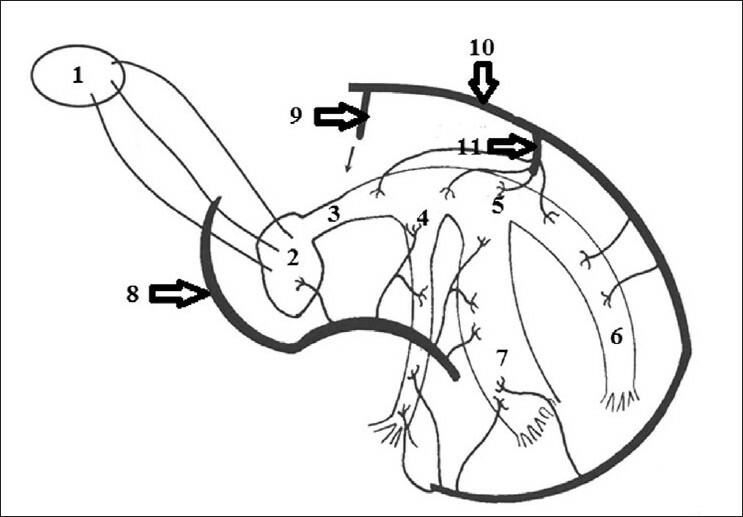 Asymptomatic women with mild aortic stenosis (AS) and normal left ventricular functions can successfully carry pregnancy to term and have vaginal deliveries. However, severe AS (valve area <1.0cm 2 ) can result in rapid clinical deterioration and maternal and fetal mortality. So, these patients require treatment of AS before conception or during pregnancy preferably in the second trimester. In suitable patients percutaneous balloon aortic valvutomy appears to carry lower risk. It can also be used as a palliative procedure allowing deferral of aortic valve replacement until after delivery. The present patient had severe critical AS with congestive heart failure that was refractory to medical therapy and the fetus was viable (>28wks). So, combined lower segment cesarean section and aortic valve replacement were performed under opioid based general anesthesia technique to reduce the cardiac morbidity and mortality.